It’s been a slow week on the blog because I’ve been sick — not sick enough to stop doing All The Things, but sick enough to require naps (plural!) each day. My schedule is so tightly packed that adding naps can put me behind on all sorts of things, and in this case, the blog fell off my schedule. But I’m better now, and I have lots of good things to post over the next few days. 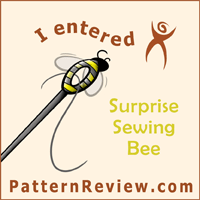 Starting with my round one entry into the Pattern Review Sewing Bee Contest. The idea behind this contest is pretty simple. It runs for four weeks. In each week, a project is defined, rules are presented, and we have one week to sew the item and post the review. Each week, a winner is announced (with really amazing prizes!) and a percentage of entries are eliminated. Something like 340 people signed up for the contest, but only 141 people completed the first week project and posted the required review. As I write this, I don’t know if I will advance to the next round. The results will be posted sometime later today. 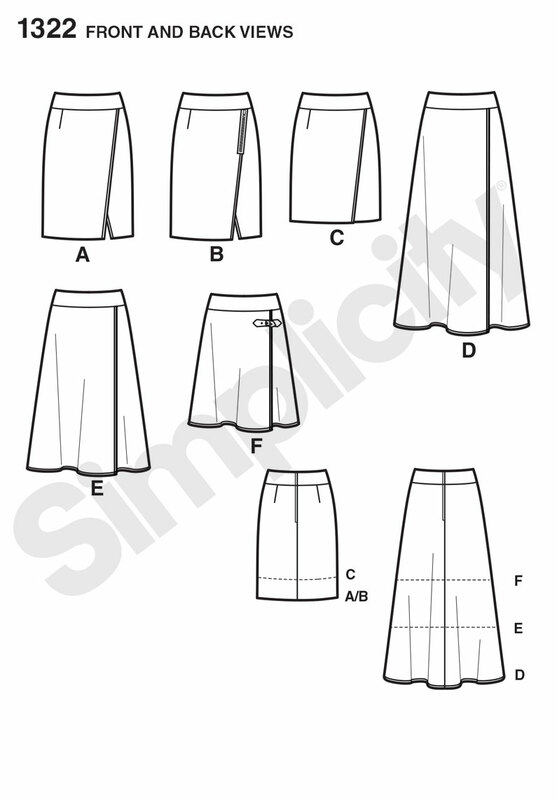 For this round, we were required to make a lined, A-line skirt with a zipper, waistband, and hem. This was a very simple project, in other words, and my first thought was that very few people would drop out on this round. A lined A-line skirt, under normal circumstances, is roughly one afternoon’s worth of work. You have side seams, maybe a center back seam, a zipper and waistband, some kind of closure for the top of the waistband, the lining, and the hems. 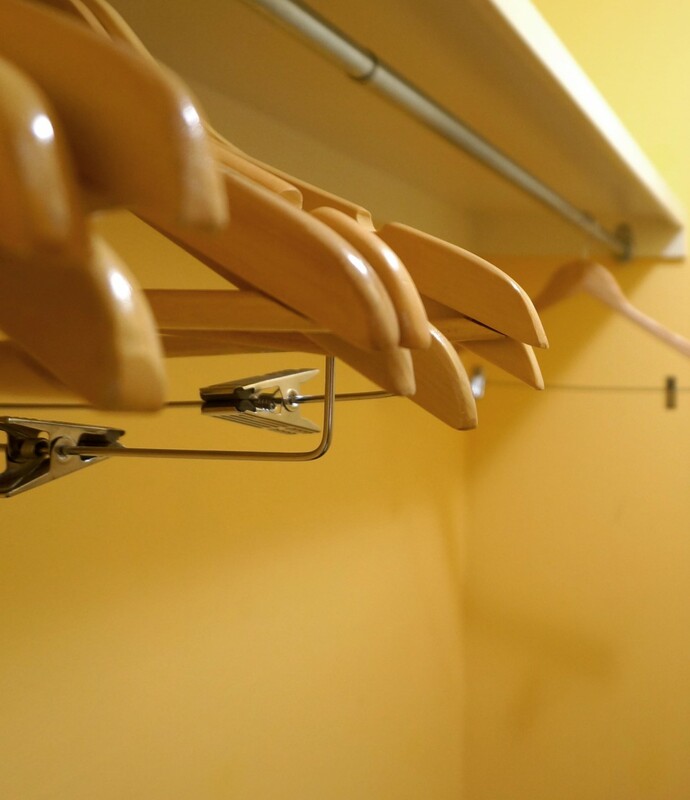 It’s not complicated, and the fitting on such a project is usually moderate at best. Because this style is so clean and minimal — something like a blank slate, really — I thought long and hard about what I wanted to do before I started work. I pored over my pattern collection and dug through every inch of my (not very extensive) fabric stash. Because my wardrobe is still so meager, I knew I wanted to make a basic, everyday sort of skirt, something that would be a real wardrobe builder rather than a statement piece. But I also know that a statement piece would be more likely to advance to the next round. Dilemma! Here’s how I resolved that particular need to balance everyday wear-ability with enough pizzazz to (please, I hope) advance to the next round of this contest. I found a pattern in my stash, Simplicity 1322, that is an a-line skirt with a mock wrap front. Take a look at the line drawings. I made view E, which has a front overlay piecing that is designed like a regular wrap skirt, but the whole thing is held together by the waistband. In other words, that vertical line down the front of the line drawing shows where the pieces overlay. I chose to use a very plain, but deliciously smooth and expensive-looking gray cotton sateen that I picked up from Mood (link to the fabric). I find that Mood’s basics, such as this sateen, tend to be reliably and consistently of a good overall quality. It has become my go-to place for this kind of fabric. I do have some local sources with decent basics, but their prices tend to be higher, so Mood is usually my first choice. I worry sometimes about ordering fabric without being able to handle it first, but while other online shops have disappointed me, Mood has not. Knock wood. Because the sateen was so plain, I decided to add a bit of trim along the wrap front openings to give it just a touch of interest. My first thought was leather piping — I thought black leather would add a touch of toughness to a sweet a-line shape. (I love mixing a bit of grit with a bit of sugar in my outfits. )But I couldn’t find black leather piping anywhere I looked, and time was limited for this challenge, so I gave up the hunt and used a very tiny black cotton piping instead. It’s delicate, but it’s a nice touch. Here’s a shot of how it looks set into the seam. I took this picture when I was ironing the front overlay — the hem is on the right side of the photo, and the bottom edge of the fabric is the vertical edge of the front overlay piece. The black cotton piping provides just enough sharpness to make that line more evident, but it’s not so much to be obtrusive. This skirt was unlined, so I had to add a lining. And that became the real challenge for this assignment. Normally, a skirt lining is attached only at the waistband, and it hangs free from the waist to hem, except for maybe a bit of tacking along the zipper. That zipper tacking, by the way, serves a dual purpose — first, the zipper is a continuation of the waist opening, so it’s aesthetically pleasing to continue the seam along that opening, and second, as a matter of function, it keeps the lining from getting caught in the zipper teeth. It always shocks me to find ready-to-wear skirts with a lining left free along the zipper. This is one construction shortcut that makes me realize just how evil some garment manufacturers are — it’s as bad as this stupid current trend to eliminate hems. Rant, rant, rant, enough about that. In this case, because the wrap front opening would move when I walk, I thought it made sense to attach the lining vertically along that opening. I chose a printed poly chiffon because I knew the lining would be momentarily visible, just in flashes, as I walk and move. But I wanted it to be clean and well-finished, not just flashy. So I really had to think through how to attach the lining to make this work. These are the steps I used. French seams along the side seams of the lining, and along the center back up to the point where I expected the bottom of the zipper to hit. 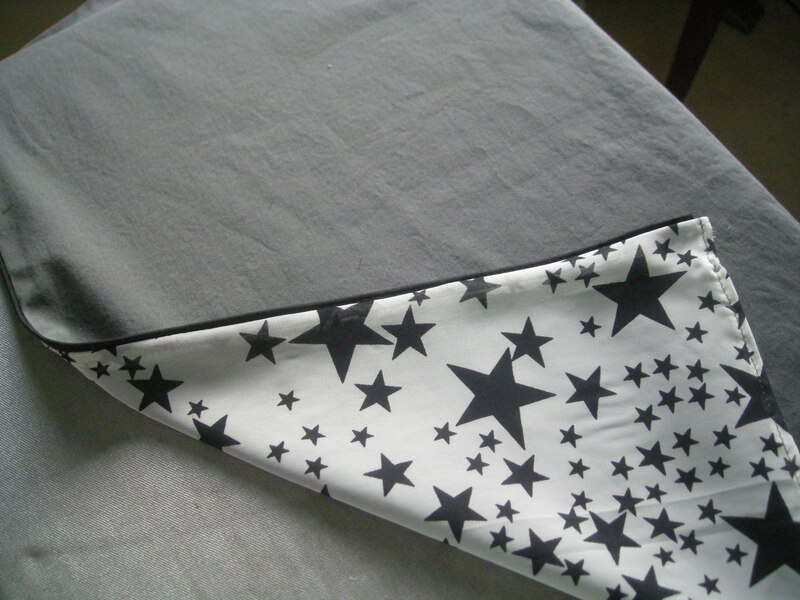 I had to use French seams because this is a poly chiffon lining, and chiffon just looks neater with this sort of seam. Attach the piping to the vertical overlay seams, then attach the lining to the skirt fronts along these vertical seams. 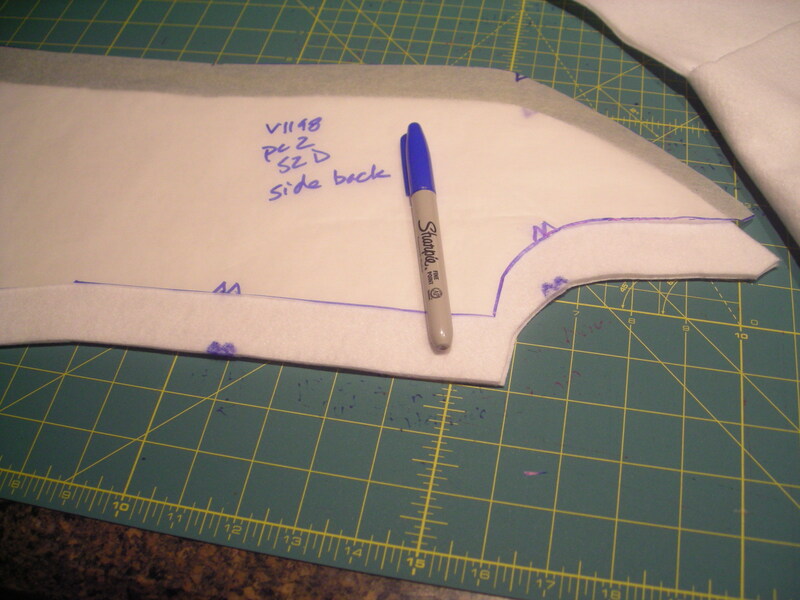 Overlap the front overlay pieces and baste along the waist line to join the lining to the skirt. I stopped this basting an inch or so from the center back seam to make it easier to insert the zipper. Insert the zipper into the skirt fabric. Rolled hems. I had to hand-finish the lining hem where the lining was attached to the vertical front overlays. I had to pick enough of it clean from the skirt front and piping to be able to roll the hem, then I had to reattach the rolled hem to the overlay. This was a bit of a hassle, and I wish I’d thought to hem the lining before attaching it to the skirt on those vertical seams. 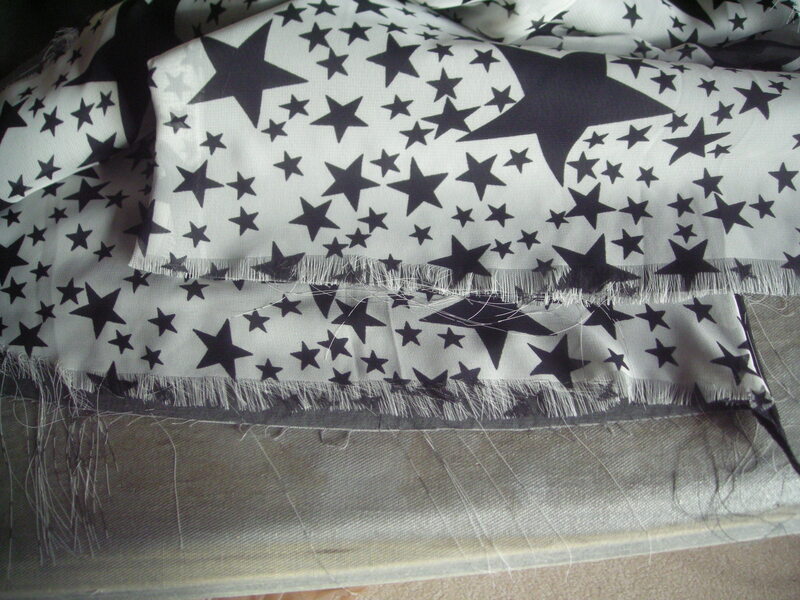 Here’s a view of how that skirt overlay looks when the piece moves to reveal the lining. You can see how the bit of piping adds a nice clean edge to differentiate the printed lining and the main skirt fabric. Also, how fun is that print? Stars, you guys. I do love some stars. You can also see just a bit of clumsiness in the corner join where I had to pick apart that vertical seam, roll the hem on the lining, and reattach it to the skirt. It’s not dreadful, but it’s not perfect, either. I would call a do-over, except for one giant problem with the lining fabric. Check this out. Anyway, here is the finished skirt. It’s very plain on the hanger, but you can see the piping along the overlay. You can’t see the lining at all when I’m just standing in the skirt, but when I walk, little flashes of stars pop up along the piped edge. It’s a fun effect, and I’m really pleased with how this skirt turned out. It will be a good everyday skirt, but it avoided being boring. 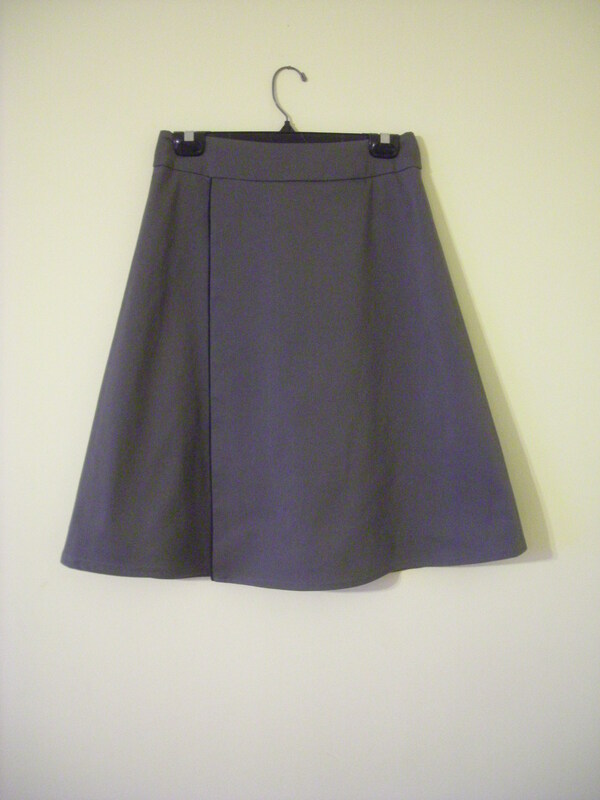 And that adds a gray skirt to my wardrobe, so I can tick that off the wardrobe-building list. Temperatures are dropping in Chicago, and a few weeks ago, I realized I own zero coats that fit me. Zero. Not a windbreaker. Not a parka. Not even a fleece zippy. There was a size 22 raincoat tucked in the back of the hall closet, and a 2x denim jacket, both of which had somehow avoided detection during the Great Closet Purge back in the spring. I can’t wear either one of them without looking like a little girl dressing in her mommy’s clothes. So this led me to decide to do the Ralph Rucci coat sew-along, but it also led me to pull some very special fabric out of the bin. You know the fabric I mean. You spend a little extra on it, love it more than you can say, and don’t want to cut into it until everything is perfect — your figure, your sewing skills, planetary alignments, etc. I actually have a stack of these special fabrics, all of which I started gathering with the promise that I would use them for goal-weight clothes. It’s time to start sewing these precious fabrics, and this is the first I’ll cut into. 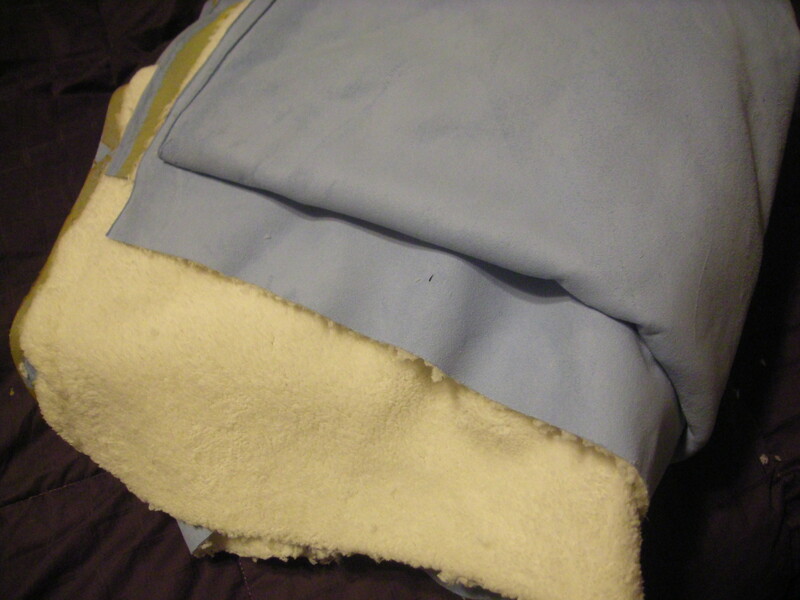 This is a buttery-soft faux suede with a faux shearling backing purchase last year at Vogue Fabrics. Run your hands over this fabric on a cold day, and you will immediately feel warm all over. 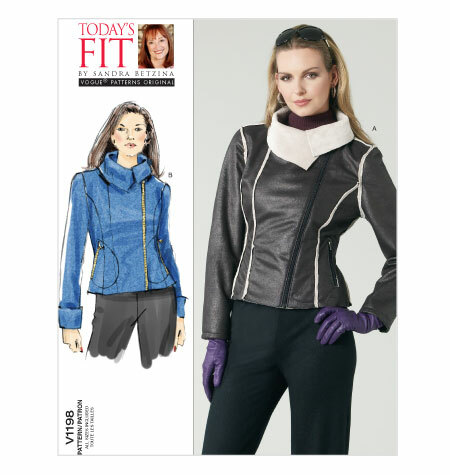 It’s a magic fabric, and it’s going to make a lovely bomber jacket, Vogue 1198 (sadly OOP, alas). In fact, the pattern was designed with just such a fabric in mind. I expect I’ll omit the pockets because this is an unlined jacket. Other than that, I plan to sew it without modifications. I’ve already cut the muslin — or, in this case, the felt. I watch the Joann sales for deals on the 72″ craft felt, which can often be had for as little as $2 a yard, and buy a bolt of white whenever my current bolt is running low. This one should get me through several muslins. This kind of felt mimics heavy coating fabrics better than a muslin or a duck would, and because it’s white, it takes Sharpie quite nicely. As you see, I draw all the pattern markings right onto the felt. 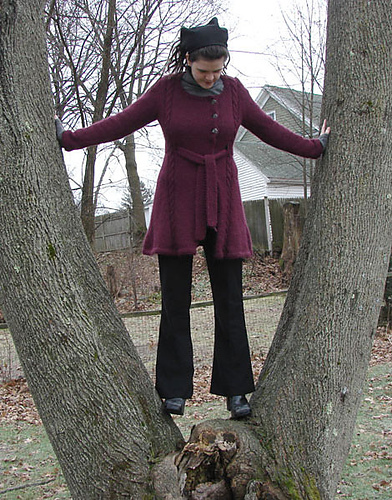 Then, when fitting the coat, I can use a different color to mark other necessary fitting alterations. I started by cutting this one a size larger than I think I might need, but I do want this coat to be roomy enough to wear over a warm sweater. And based on my quick measurement of the pattern pieces, a size larger might be a safe bet. We’ll see. I might have to cut another felt in my regular size, or maybe do a multi-size variation, but I’ll start larger and work my way smaller. In any case, I have to finish the Halloween costume before I sew either the Rucci coat or this one. I have a deadline for the costume! The party is this weekend! Yikes! 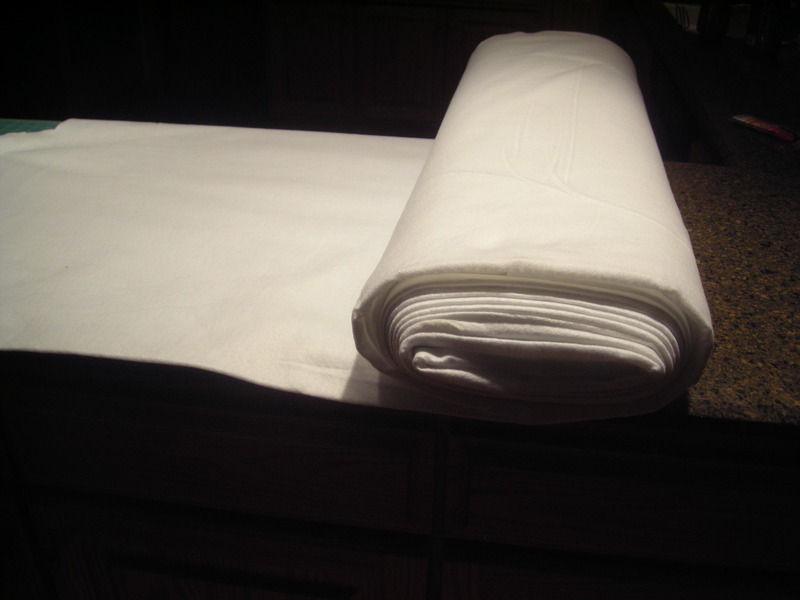 What do you use to make your muslins when muslin itself would be too light? I’m in cutting mode right now, a mode I try to visit only occasionally because of the way it converts my eat-in kitchen into a disaster zone. 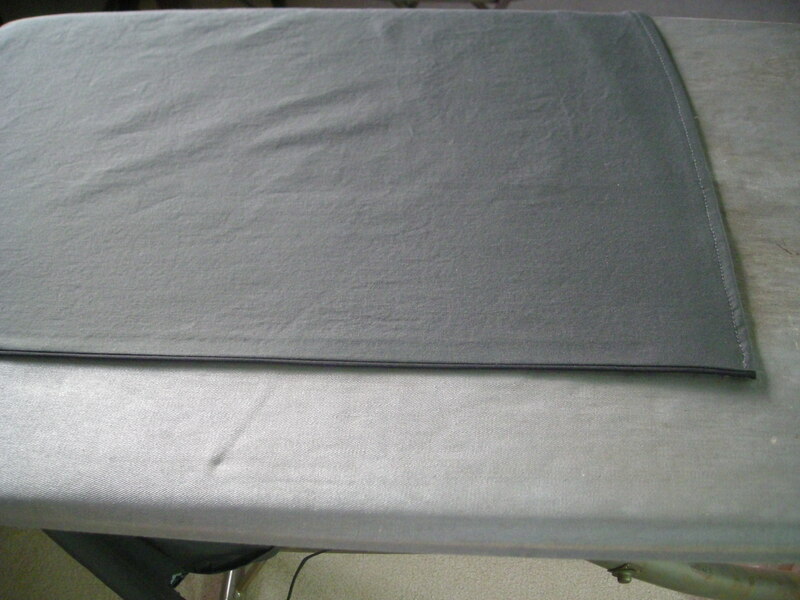 I use a large counter for my actual cutting — the large Olfa cutting mat fits on it with about four inches to spare in width, and about five feet of extra length, so it’s a very convenient cutting surface. At the moment, my kitchen table is piled with fabrics and patterns. 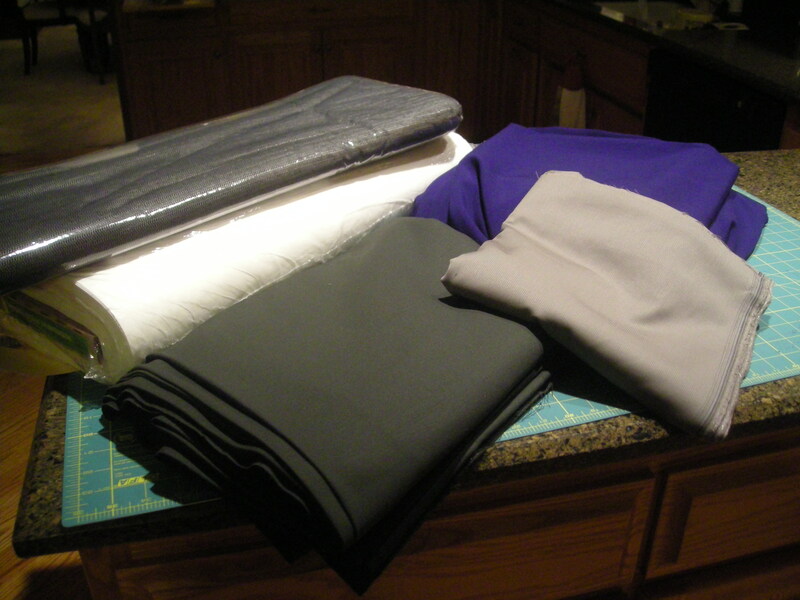 The fabrics have all been prepped and are ready to cut. The patterns, I’m prepping one by one as I cut them. First, I always make a paper tracing of the pattern pieces, leaving the original pattern intact. Then I make any alterations on the paper copies, and after I finish the garment, I sometimes transfer these altered paper copies to a gridded pellon, the type that quilters use with the 1″ grid printed in blue. That final pellon is for patterns I’m likely to make several times. The pellon holds up well to abuse, much better than any paper I’ve used. I am in the process of cutting this glorious rayon textured knit. In the store (Vogue Fabrics in Evanston), the sign mentioned Missoni, but this fabric was only $18 a yard. I’ve seen real Missoni bolt ends in Haberman’s (Detroit) and in the New York garment district, and I’ve never seen them retail for under $80 a yard before now, and usually much more than that. So either Vogue was giving us a smashing good deal, or this fabric might be leftover from the Missoni-Target partnership, or the store sign meant that it looked like Missoni rather than actually was Missoni. Regardless, it is a luscious textured fabric shot through with many colors, and it is going to make a fantastic dress. 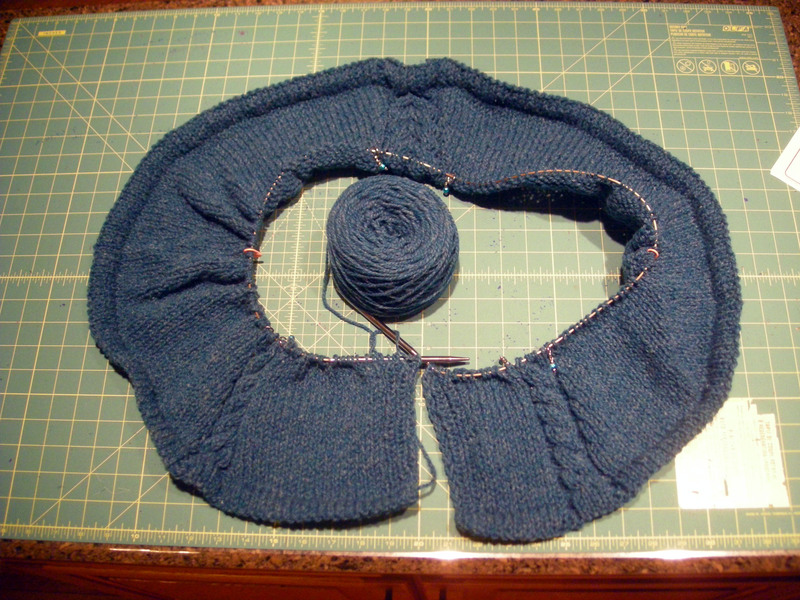 I’m sort of frankenpatterning this one (McCall’s 6612) — using the cowl from the maxidress version (view D), the sleeves from the ruched version (view A), and the just-at-knee length from the plain version (view C). This will make more sense if we look at the line drawings. Is it a frankenpattern if we combine different views of the same pattern? I didn’t have to alter this pattern much. This is a multisize pattern, so instead of doing the FBA to the size 12 front, I just extended to the size 16 from the lowest point of the armscye to just above the waist, on the front piece only. That’s the beauty of multi-sized patterns. Then, for the sleeves, I measure the armscyes on the front and back pieces, and picked a sleeve with a cap measuring a little more than an inch longer than the armscye. This will give me some ease through the sleeve cap, which I might have lost if I’d just cut the size twelve sleeve as-is after altering the bust. This dress only has four pieces — front, back, cowl, and sleeves — and I expect it will cut and sew very quickly. And I think I might have enough fabric leftover to make a tee, though I’m not sure I really need two garments in this fabric. It might just go back into the stash until later, when I’m tired of the dress but still in love with the textile. Am I the only one who overbuys fabric just because it’s gorgeous?